We are thrilled to announce Strike! Ten Pin Bowling for the brand new Apple TV. A new version is now available for download at the AppStore that contains the following fixes. Fixed crashing bug for devices not running iOS 8. Fixed problem where adverts were being displayed on some paid versions. You asked for stats so we’ve given you them! We’ve now added game statistics to Online 2 Player. Score the most wins to be top of the new 2 Player Leaderboard. 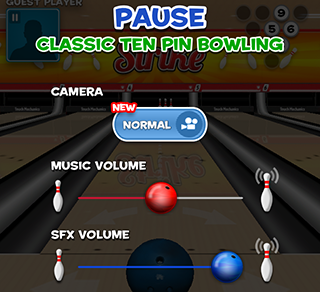 Due to customer feedback from yourselves we have returned the original bowling camera angle. You can toggle between the two angles in the pause menu. (Click on the profile picture to show the pause screen). The latest version of Strike! (v1.2.0) is now available to download. It has the most requested feature you’ve asked for – Online 2 Player Matches! We hope you enjoy your special day and good luck in the new year. We’d like to say a big thank you to all of you playing Strike! and making it our most successful launch so far. 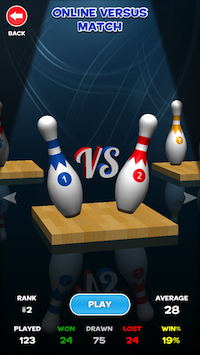 The leaderboard is full of fantastic high scores and we are staggered how many players have bowled a “Perfect” game. Well done to you all! We are delighted to announce the release of our latest game. It’s a universal app designed for both iPad and iPhone. 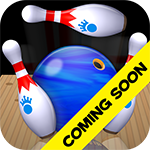 Click on the game icon to get bowling! We think you’ll be bowled over! Coming soon to the AppStore.